Ipsy October 2016 Glam Bag Review! Cost: $10/month + Free Shipping. What you’ll get: You’ll receive 5 mix of full-sized and deluxe-sized beauty products tailored to you in a collectible bag. You complete a beauty profile upon joining and the products you’ll receive will be matched based on that. You can update this profile any time and you’ll also be able to review the products you receive for points which you can redeem towards a selection of beauty items. 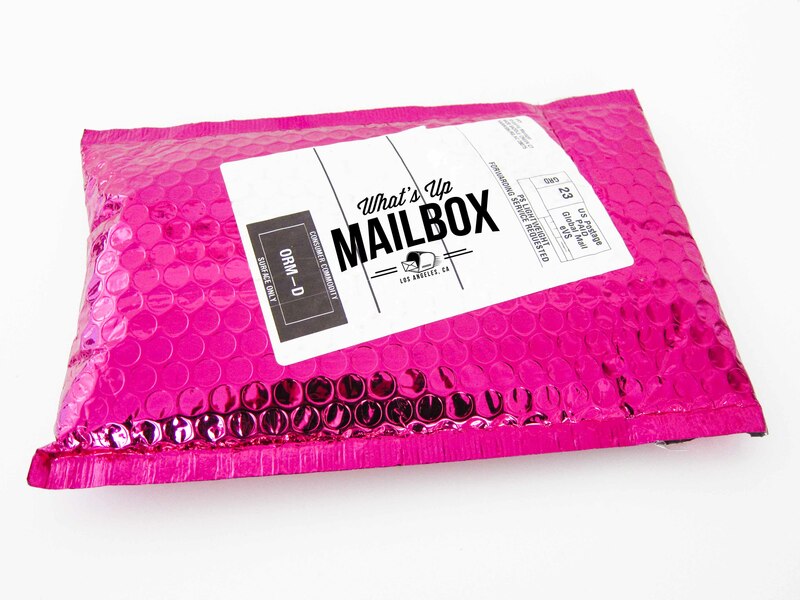 Ipsy always ships their glam bags in bright neon pink padded envelopes.  It stands out in your mailbox and you can’t miss when it actually arives! Ipsy is very similar to Birchbox where all subscribers receive different variations in their bag, and is mostly dependent on the answers you give in the Ipsy beauty quiz. They try to give you products that match your needs and concerns so not everyone will get the same items. And you can retake the beauty quiz at anytime if you feel that the products didn’t really match you. This review is for my profile so it’s just one of the many variations that they sent out. 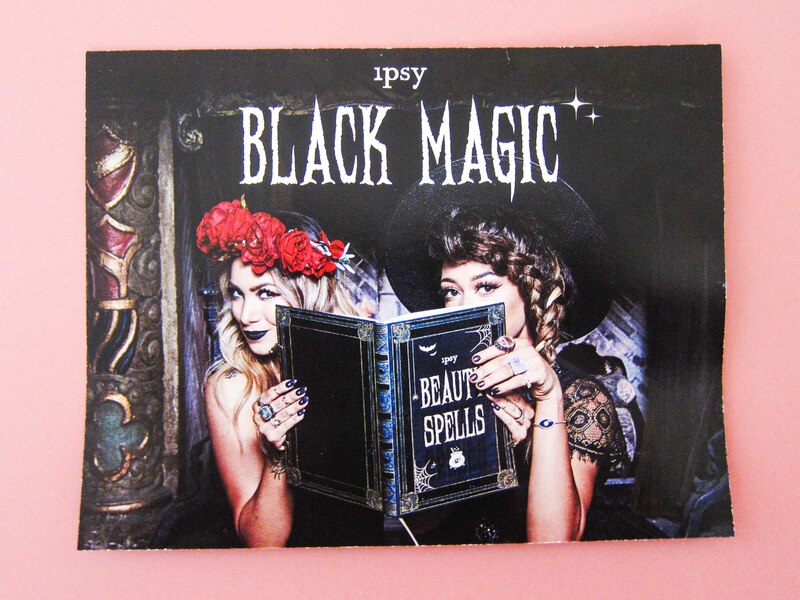 Every package includes an info card with the month’s theme, and this month is “Black Magic”. 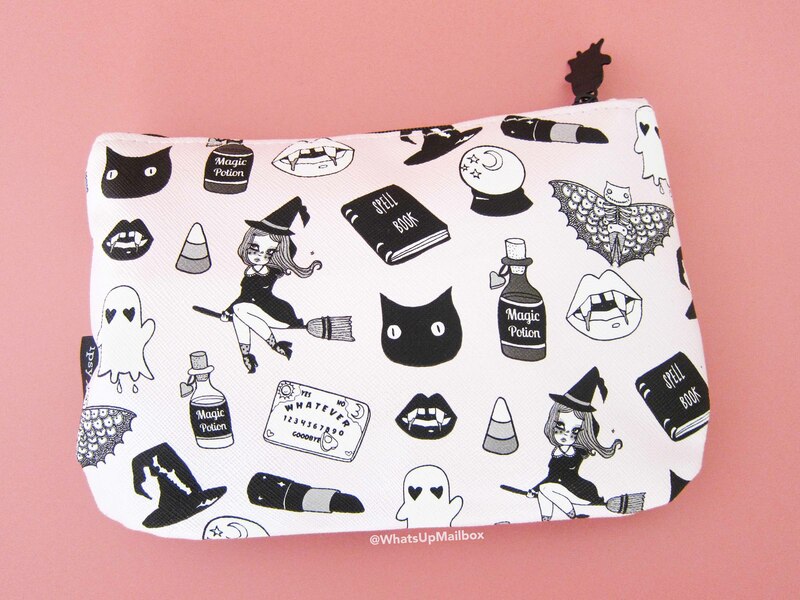 This month’s glam bag design was a collaboration with It Girl artist Valfré and is perfect for October. Lots of Halloween related icons and symbols. You see the collaboration on the outside tag, and the zipper pull is a cute little ghost with heart eyes! Adorbs! I love the NYX cosmetic line and eyeliners are an item that I’m happy to receive, especially in full size. 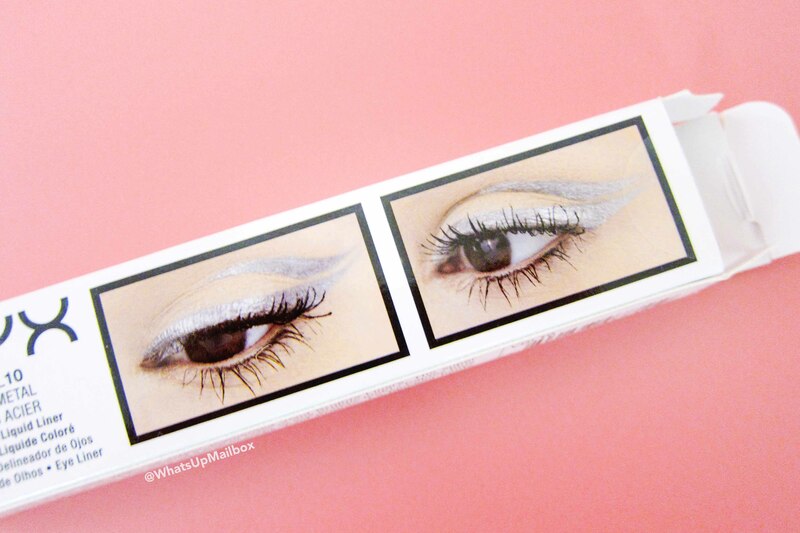 The picture above shows how the color looks on and my oh my, this bright silver eyeliner is poppin bright! I definitely don’t have this color yet and I’m not sure I’d wear this often, but for Halloween or perhaps a night out dancing I’m totally game. Nail polish, yay. 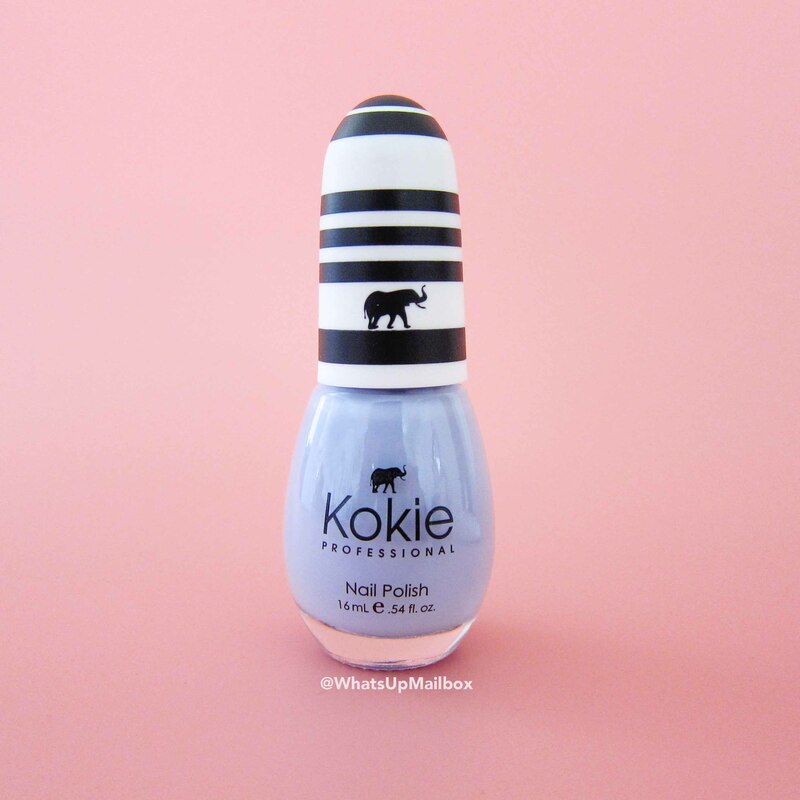 I love trying out new colors and brands and although blue is not a color I wear often, this one is a pretty light and pastel color that I’m willing to try. It’s Made in USA and has a 5-free formula. Exfoliators are essential to keep your skin glowing and smooth so it’s a product that I use regularly in my skincare. 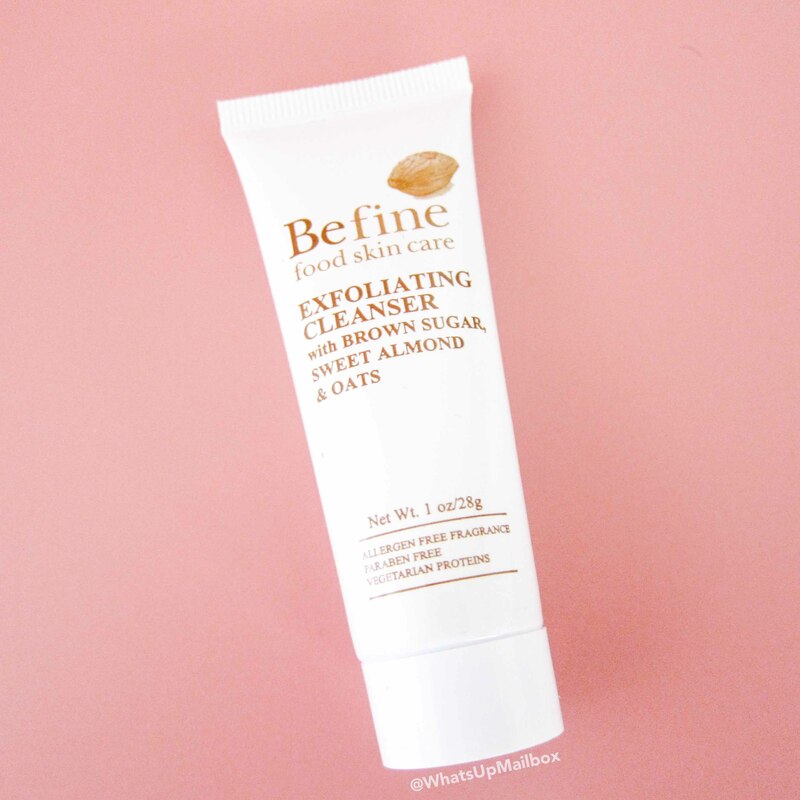 This one in particular incorporates brown sugar, crushed almonds and soothing oats to gently remove damaged skin cells. I already have quite a few colors of this lip crayon from tre’StiQue and love them all. Thankfully I don’t have this color yet which is a win for me. 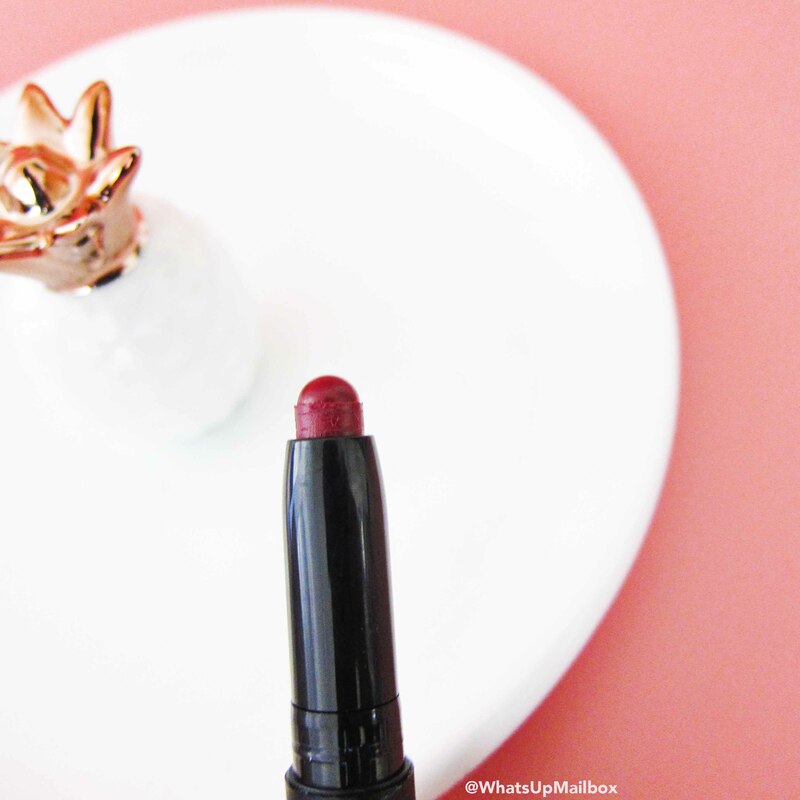 The color Belize Bourdeaux is a deep scarlet red that’s perfect for winter. 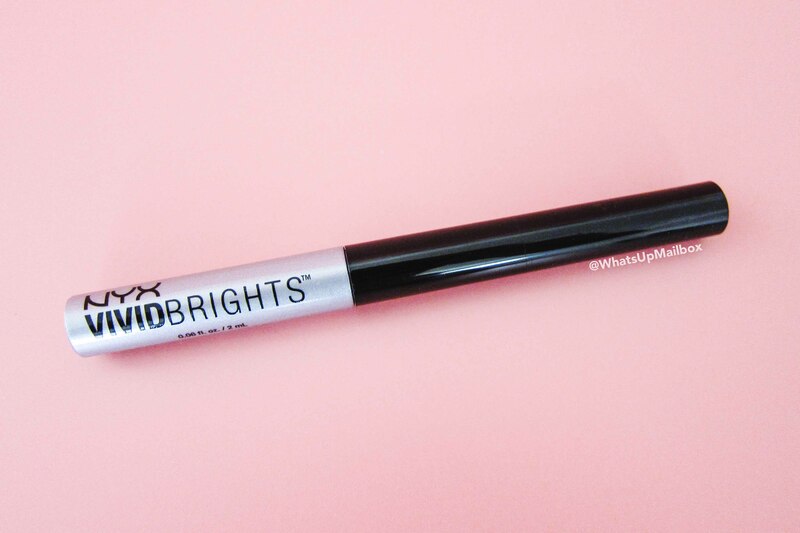 It’ll look great with your LBD, or even for a glammed up Halloweed makeup look. Love this color! 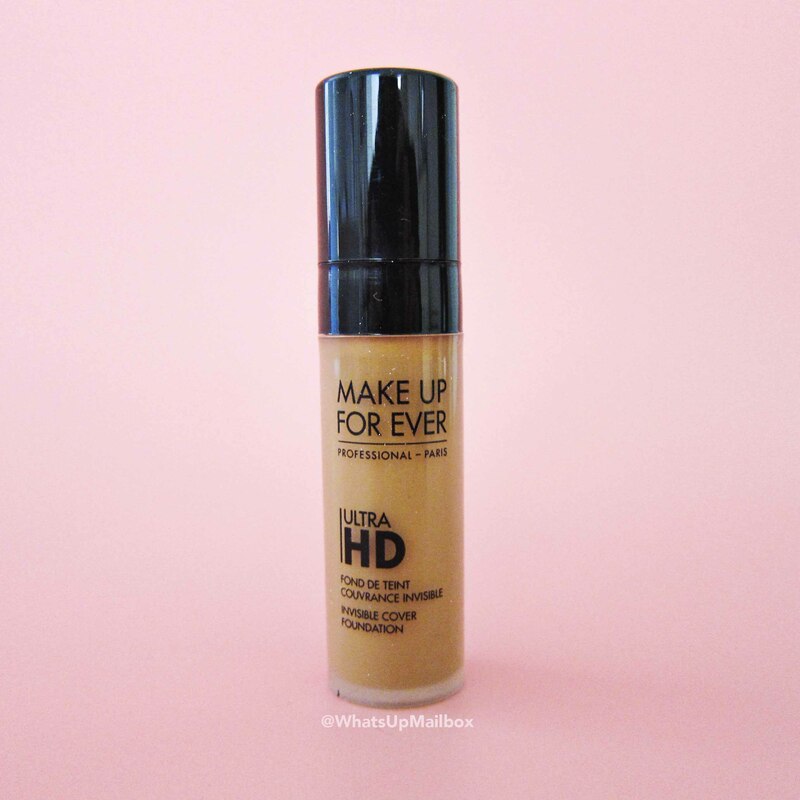 Although I do use and love products by Make Up For Ever, I already have a foundation that I love so unfortunately I won’t be using this. The color I received is also too dark for me anyway. They had 5 color variations that were sent out. My Thoughts: Well this month was kind of a disappointment for me. I wasn’t too happy with my glam bag last month and did some changes to my beauty profile to see if it will help, and maybe it did a little, but man, what’s going on. Thankfully I do like the bag design, the nail polish was fun to try, and the lipstick a great addition to my growing tre’StiQue collection. So I guess it wasn’t a complete bust, and still worth the $10 cost. I’m still going to play around with my beauty profile to see if next month will be better. But hey, even when I find myself disappointed with certain Glam Bags of the month, as long as I like and will use 2 out of the 5 items, I’m good with that. So here’s to hoping next month will be better! Interested in subscribing? 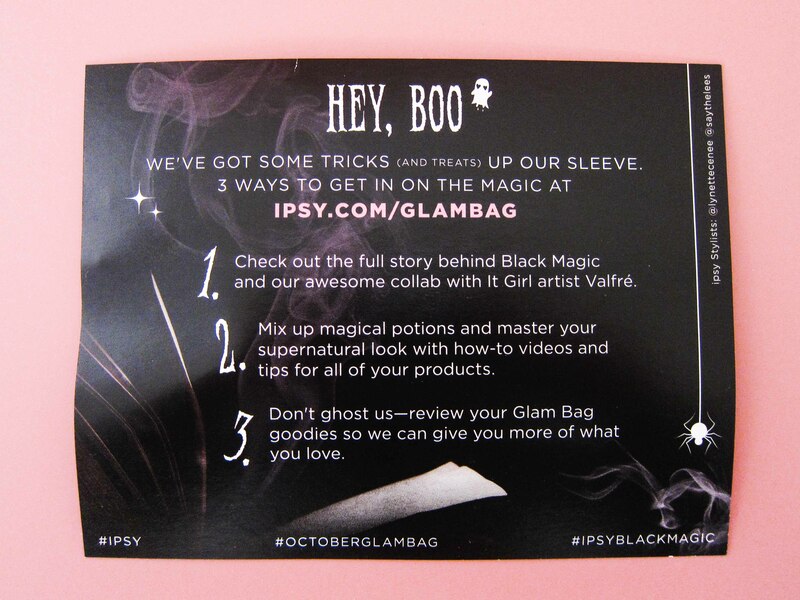 You can go to www.ipsy.com to join and start receiving your own monthly glam bags!